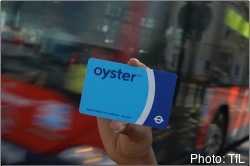 Oyster pay as you go users faced confusion this morning after one of London’s mainline rail services contradicted Transport for London and City Hall statements that the card would be accepted on “all Greater London National Rail services”. SWT had a similar statement saying only two routes would allow PAYG. Spoke with TFL on 020 7222 1234 they have a list of where Oyster PAYG is being accepted within Greater London. It is not all National Rail Stations as currently stated on their website. Confirmed arrangements for Southeastern are as mentioned above. I suggested it might be a good idea to update the TFL website!